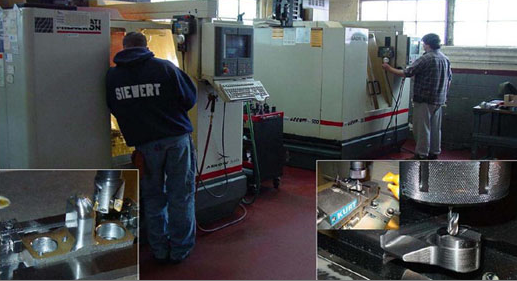 The growth and longevity of Holland Engineering has been fueled by our professional commitment to quality engineering and machining services. Each project and each customer is managed and serviced by an experienced and professional team. The goal of Holland Engineering is to meet your production, budgetary and delivery requirements by producing the finest, most reliable product for you. Holland Engineering was established in 1939; our commitment to advanced technology, superior tooling and the utmost quality remains unrivaled. We provide engineering and machining solutions and services that meet the needs of not only first- and second-tier manufacturers, but also those of OEMs. Holland Engineering creates products of superior durability and performance, with impeccable dimensional accuracy and repeatability. Whether we’re designing and building new dies or rebuilding and repairing existing tools, our highly trained technicians — all professional tradesman in their corresponding fields — work together to get the job done. Holland Engineering’s attention to detail and commitment to value are unmatched. We believe in quality work, completed in a timely fashion at an affordable price. We take pride in providing our customers with cost-saving manufacturing solutions.